In a Chapter 7 bankruptcy, a trustee will be appointed to liquidate the assets of a debtor’s estate to satisfy the creditors of the debtor. Therefore, it is important to understand that if you file a Chapter 7 bankruptcy, all of your assets including your house may sold to satisfy your creditors. However, the Federal Bankruptcy Code, U.S. Code Title 11, provides ways for debtors to protect their most important and essential assets through a variety of exemptions. 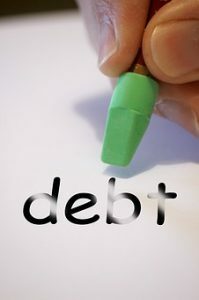 Our New Jersey bankruptcy attorneys use these exemptions to the full extent of the law to protect your assets while helping you lift the crushing burden of debt. The Federal Bankruptcy exemptions are referenced in 11 U.S.C. 522(d)(1)-(11). These exemptions cover a variety of assets which you may own and want to protect from being sold by the trustee, ranging from your home to life insurance payments. However, these exemptions do not provide an absolute protection to your assets and are limited in their use. Probably the most important asset and the one that people are most concerned with is their home. The Federal Bankruptcy Code provides for an exemption for your primary residence under 11 U.S.C. 522(d)(1), (5). The exemption provides protection up to $23,675 in New Jersey. This amount is doubled if you are filing jointly with your spouse for a total of $47,350. This exemption can be used to exempt a portion of the equity in your home. The trustee will perform what is called a liquidation analysis to determine whether to sell your home in a Chapter 7 bankruptcy. First, the trustee determines the fair market value of your home. He can do this in one of two ways. He can take the appraisal which you received on your home (this will need to be done before you file) or he can hire his own appraiser to determine your home’s value. Generally, the trustee will take the appraisal that you submit unless he believes it to have too low a value. If there is a mortgage on your home, that is subtracted from the fair market value of the home. The cost of closing and/or selling the home is also deducted from the fair market value at roughly 10% of the value of the home. Finally, the exemptions are applied to cover remaining equity after both the mortgage and cost of closing are deducted. If, at the end of the calculation, there is a negative value, the trustee will most likely not sell the home because it would not result in any funds that could be used to satisfy the creditors. If there is a positive value, the trustee may sell your home and use the proceeds to satisfy your debts. In such a circumstance, you may be able to pay the trustee, the amount that he would receive from the sale. However, the source of the funds must either come from a third party or from other exempt property of your estate. The following is an example of the liquidation analysis that a trustee may use to determine whether to sell your home in a Chapter 7 bankruptcy. In such a scenario, the trustee would most likely not look to sell this house because it has no remaining equity after all of the deductions and exemptions were applied. However, this may change if the trustee determines that the fair market value is higher than what is listed. Therefore, it is important to understand and be prepared that when you are filing a Chapter 7 bankruptcy, everything is for sale. Our New Jersey bankruptcy lawyers can help protect your home and determine if bankruptcy is right for you. Call us at (973) 890-0004 or e-mail us to schedule a consultation to speak with one of our New Jersey bankruptcy attorneys.